Oh man, just looking back through all these photos I'm losing track of which day was what! I wish we had started the blog during this actual process because I'm having such a hard time trying to keep the timeline of exactly when things were happening in the day-by-day order. But, the next few days (or week?) were all dedicated to the rest of the kitchen cabinetry being built and then the counter tops coming to life. New LED marker lights and taillights have arrived! 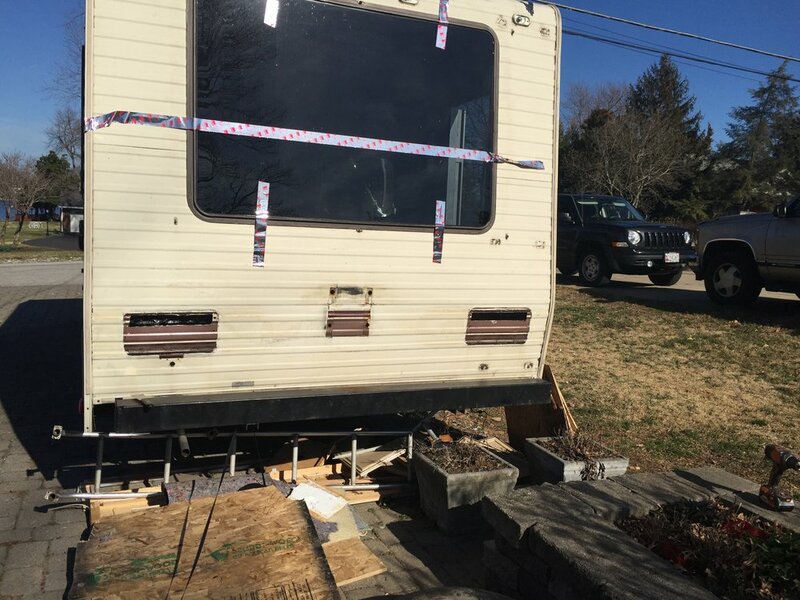 Our package from etrailer.com arrived! 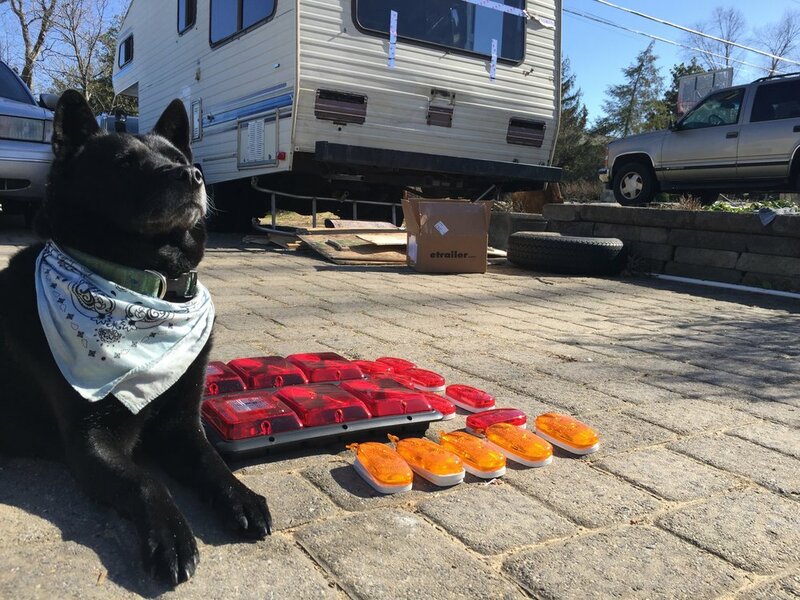 All of our new running lights/marker lights, and taillights have arrived. We didn't install these until later on, but we always get excited about packages. The next few photos are of Tommy and Mark breaking down the slabs of Ambrosia Maple before gluing them up and clamping them. I couldn't find the photos from the glue up phase, so we'll have to use our imagination. After that, we had a few days of sanding and then we started coating the counter tops with Interlux Compass Clear in amber for that rich UV protected finish. After a night of sanding, gluing and clamping. We have our counter tops cut to the shape and size we need. First coat of Interlux Compass Clear in amber on the bottom side of the counter tops. 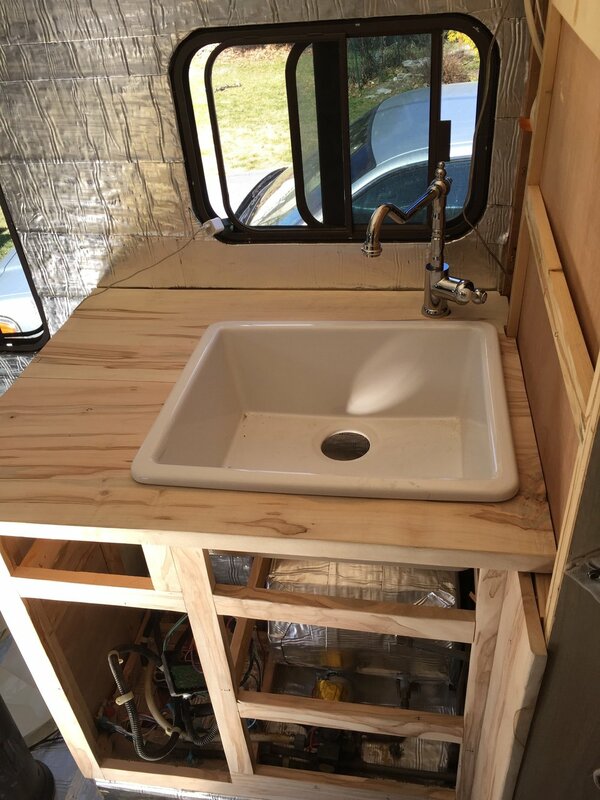 During the days we were sanding and sealing the counter tops, we mapped out how we wanted our new kitchen sink cabinetry to look, and Mark helped us build it! Again, sorry for the lost footage of every single process. A lot of the time we didn't have our phones out--our phones were mainly there for Pandora streaming for hours. 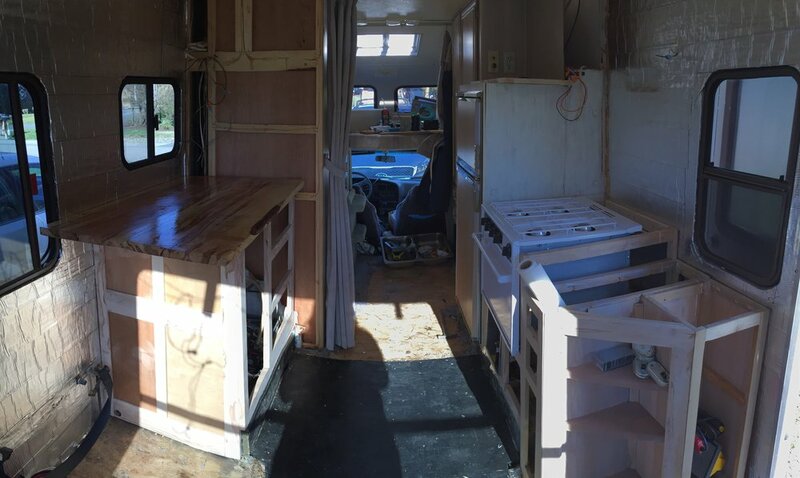 The next few photos are from when we brought the finished counter tops in side to see how they look and fit in the space. Okay, counter top fits nicely. Now, time to flip it over and cut the hole for the sink (we hadn't found a sink quite yet), and cut the flip down counter space, so the counter isn't coming out in front of the window. Danielle continued adding the peel & seal. 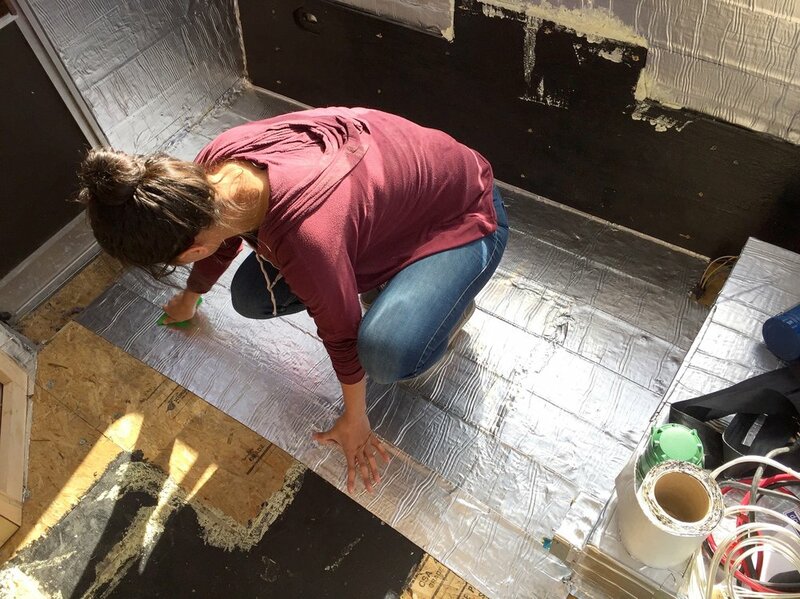 We used it on our floors to add a layer of insulation. the original floor didn't have any at all. Just carpet laid over wood. We spent the next day driving all over town looking for a sink and a faucet. Two things we had never thought of purchasing before this moment. A full day of driving, a little bickering here and there, and four stores later...it FINALLY hit us that we should check IKEA for a sink and faucet that would have some style and still be on the cheaper side of kitchen accessories. The next day we were cutting the whole for the sink and the faucet into our counter tops. Below I have added the names from IKEA for the sink and faucet along with the links to their website...You'll be able to click the photos of both the faucet and sink to go to the direct link.